← My New York City Guide! Why ‘The Boy Downstairs’ is a must-watch. When a new writer/director arrives on the scene who is really talented, and who is a woman, I’d say it’s a pretty big deal. Sophie Brooks got the idea for The Boy Downstairs (now on iTunes) when she was stuck in bed. Zosia Mamet and Matthew Shear in The Boy Downstairs. Sophie had just been hit by a car, and then had to have her appendix removed ten days after the accident. Her brother moved in to take care of her. The thought struck her, “What would you do in this situation if your ex was the only person around who could help you out?” She wrote the screenplay, and her brother helped produce it. Zosia Mamet and Sophie Brooks at The Boy Downstairs premiere. For the male lead, Sophie chose Matthew Shear to play Ben. Sophie saw the really sweet guy she was looking for in Matthew. The three of them went on “friend dates” to get to know each another. You feel that chemistry in the movie. It’s part of what makes it so special, and so hard to believe that this is Sophie Brooks’ first feature film. She is 27 years old and just graduated from NYU five years ago. Matthew Shear, Zosia Mamet and Sophie Brooks at The Boy Downstairs premiere. I loved every second of this gorgeous to look at and beautifully acted film. As the credits rolled, I thought to myself “This was the millennial When Harry Met Sally.” It’s about two people who try to figure out if a man and a woman can be friends. I wasn’t surprised when I dug deeper into the background of how this movie got made, to discover that Sophie loves Rom Coms. This movie fits the formula, but without following the rules too closely. It’s a refresh on the genre. 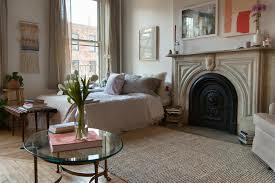 Diana’s apartment, can I move in now please? The movie is funny, unique and …exciting. Not only because this is Zosia’s first role since Girls which is newsworthy enough, but because it’s so simple. Sophie does a great job of not letting anything get in the way of the moments and keeping a timeless feel about it. She specifically focuses on the old- fashioned way of meeting people in a “swipe right” world. I urge you to watch it. 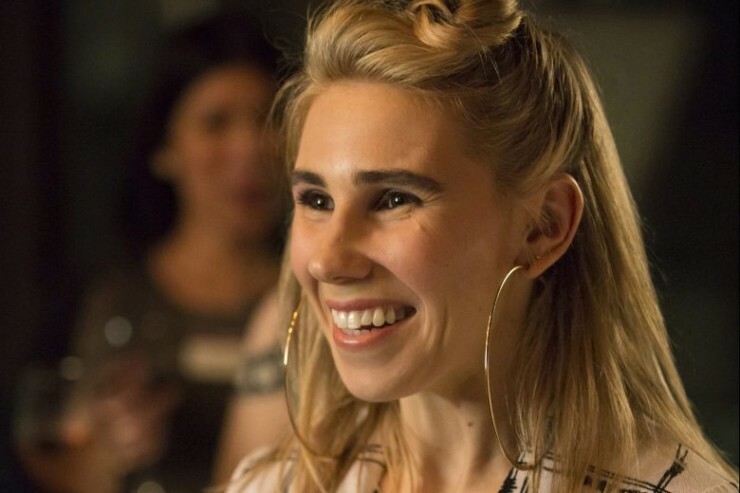 I also want to share some great links I loved about Sophie and of course…the wonderful Zosia Mamet. This podcast is a really great chance to hear how Sophie and her brother worked together. 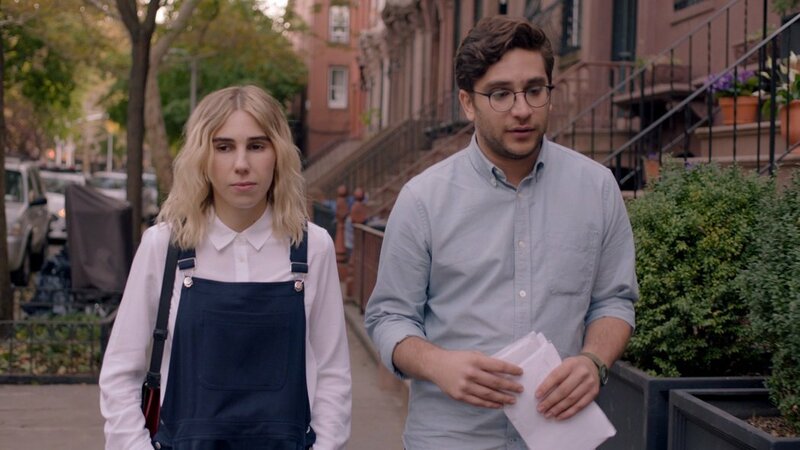 Pardon My French with Zosia Mamet. I particularly loved this conversation between Garance Doré and Zosia Mamet about success, body issues, feminism and glamour. Be prepared to fall more in love with both women. 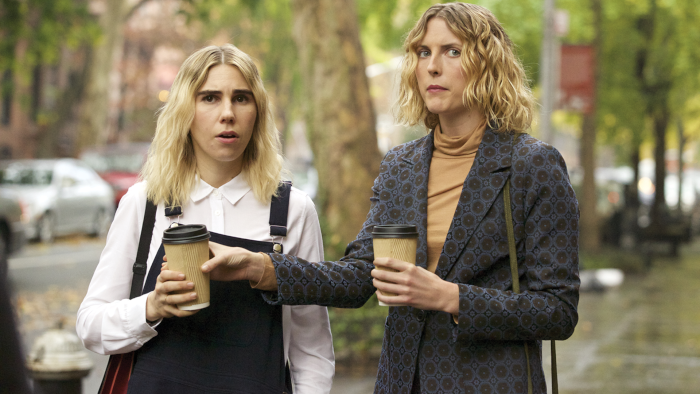 Zosia Mamet and Diana Irvine in The Boy Downstairs (Jewish Film Institute). Here is more about the movie, and the bond between Sophie and Zosia.